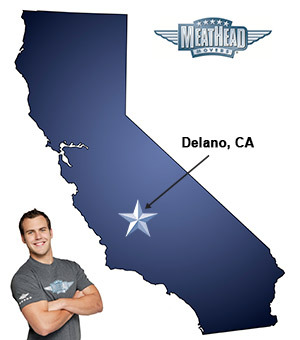 Whatever your moving needs, the Delano Movers from Meathead Movers will help you feel at home in Delano. Our professionally trained student-athlete movers and moving concierge will be with you for the entirety of your move. Everyone wants an easy transition to Delano. The trick is to find the best Delano movers to get the job done. That’s where Meathead Movers comes in. Located in the San Joaquin Valley, Delano is a thriving agricultural city in Central California. With a population of around 53,000, there are plenty of opportunities for business and family, which is why moving here is a great place for a fresh start. For those who choose to make their home in Delano there is plenty to look forward to. The town got its start as a railroad town, which gives the city a vibrant history. The city is known for its part in establishing rights for farmworkers across the state, and has a rich Filipino history. In order to honor the city’s rich cultural heritage they host a variety of events throughout the year such as a Cinco De Mayo Fiesta, Philippine Weekend, Harvest Holidays, and an annual Christmas parade. The city also offers a variety of youth sports leagues such as soccer, swimming, and little leagues to help bring families throughout the community together. If you are considering a move to Delano, it’s important to choose the right moving company. There is a variety of Delano movers, but none of them compare with Meathead Movers. We are proud of our comprehensive services which include local, long-distance, on-site, and commercial moving and much more. We can even offer storage services, packing services and our unparalleled moving concierge service to cover all the complications that arise when making a transition. Meathead Movers is more than a list of service options. Unlike other moving companies, we only hire the best employees, most of whom are student-athletes. To ensure fast and efficient service, our Meathead team jogs when their hands are free, saving customers valuable time. We are so confident in the quality of our services that we are the only moving company in California to have a 100% Satisfaction Guarantee. For those moving to Delano, the choice is clear. Instead of doing it alone or trusting another moving company, be sure to remember top-rated Meathead Movers. With our 100% satisfaction guarantee, the only thing you have to lose is the stress that comes from moving! So contact our Delano movers today for a free moving quote and to learn how we can help you on your next move! Moving to Delano? Here are some helpful resources. I thought the boss was very thoughtful. He thought of ways to save money. He filled the storage unit in the order we discussed. That way I could get at my clothes in the boxes. He brought me under the max by $700.00. Your student athletes are a great workforce. Everyone we talked to was especially nice. They were friendly and helpful.